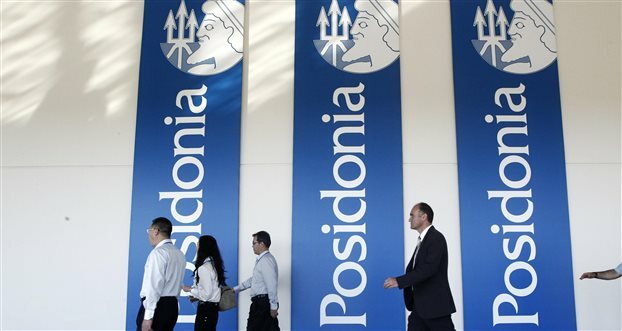 More than 80 global Information and Communications Technology (ICT) companies will participate at Posidonia 2016 this summer vying for the attention of the Greek shipping industry which runs the world’s largest merchant fleet comprising over 4,500 vessels. As Greek shipping operates a very young fleet with an average age of 11 years, some two years less than the world average, it is evident that a great percentage of the $ 8.6bn invested by Greek interests in newbuildings will be spent on new technology. 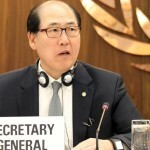 Satellite communications, cargo tracking, navigation and crew management are some of the key areas ICT innovations can help improve for the global shipping industry as indeed is energy efficiency, which is mandated by the International Maritime Organisation headed by Secretary General Kitack Lim, who will attend the opening ceremony of Posidonia 2016. 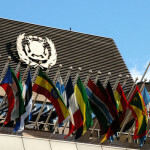 Cutting carbon footprint generated by the seaborne transportation of over 10bn tonnes of cargo a year by 50% may be a tall order for the ICT sector to deliver single-handedly but recent advancements in software technology can contribute to fuel efficiencies thus driving carbon levels down. 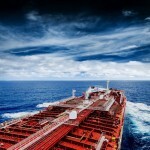 “Even a small percentage drop in fuel consumption can amount to hefty cost savings for the Greek-owned fleet, which ranks first globally with almost 20% of the world’s total transport capacity,” said Theodore Vokos, Executive Director, Posidonia Exhibitions, organisers of the prestigious shipping exhibition, which will be held from 6th to 10th June at Athens Metropolitan Expo. “Information and communication technology is of prime importance for all shipping companies onboard and ashore due to the availability of more data that can and will be collected, analysed, cheaply stored and integrated into decision making mechanisms at various levels,” he added. 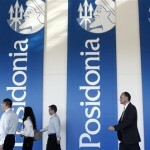 From communications to procurement and from safety to vessel reporting, financial accounting and navigation, ICT providers for every aspect of shipping operations will be exhibiting at this year’s Posidonia to showcase their ability to create a more connected, integrated and efficient shipping industry. They come from all four corners of the world, from India to Scandinavia and from Australia to North America to compete with each other and against a strong contingent of Greece-based antagonists for a slice of the ever increasing ICT budgets of shipping companies. Denmark’s cargo control equipment manufacturer and supplier API Marine will be displaying a robust portfolio of ballast and cargo tank monitoring and integrated automation systems. Their northern neighbour Finland is fielding marine technology specialist Eniram in search of new business leads and to increase brand awareness while meeting with existing customers on its fourth Posidonia participation. And Bangalore-based BSOL SYSTEMS software products and services specialist will be making its Posidonia debut with a bang thanks to the international launch of two products, a vessel inspection app and a demurrage calculator targeting the bulk shipping sector. Australia’s RightShip will launch its new online risk management platform, RightShip Qi later this year and is using Posidonia as a pre-launch pad. Thanks to home advantage, Greek ICT companies will participate at Posidonia 2016 in great numbers. Athens-based Mobile Technology, a distributor of electronic equipment and network communications systems is planning to use its Posidonia debut for the launch of an innovative solution for Maintenance & Inspection in the maritime industry based on Voice commands, as well as a Global Tracking system which can locate, track and monitor commercial and leisure vessels, sending multiple daily position reports and an Inventory System for monitoring the vessel’s spare parts. Software solutions provider DANAOS Management Consultants is returning to Posidonia this year where it is planning to launch three new products. The Piraeus-based company will showcase its proprietary DanaosONE platform, a collaborative e-servicing tool in addition to its WAVES fleet performance management tool and a suite of maritime mobility native apps. Fortune Technologies, a provider of shipping software solutions and professional services to the maritime industry, has announced its intention to launch the new Microsoft Dynamics NAV 16 Web & Mobile Based functionality at Posidonia 2016 where it will be making its sixth appearance. SRH Marine, a Piraeus-based company offering full services on sales and technical support for Navigation, Radio Communication, Safety and other marine equipment will launch its COBHAM Network Solution and its SRH BTITEM Service Agreement. And SetelHellas plans to present the innovative SetelHellas MRV Solution, which has been developed as a “natural extension” of SeeMBox-V in respect to the new MRV Regulation (EU) 2015/757 that requires ship owners and operators to monitor and report their carbon emissions (CO2) on all voyages to, from and between European Union ports. 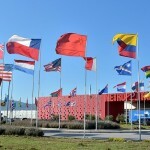 The list also includes heavyweight multinationals such as Microsoft and Vodafone, which plans to present a secure, scalable and user-friendly business cloud solution that allows business customers to effectively organise and cover their needs in computing power storage space, and back-up solutions. And while the countless software and digital products and solutions will be luring visitors at their displays, ICT industry experts and thought leaders will be doing some tech talking at the most comprehensive conference and seminar programme in the exhibition’s history. The conference programme includes ICT-related topics such as Smart Ship Solutions by HEMEXPO, Maritime VSAT by Gottlieb International Group and Speedcast, Shipping Telemedicine & Assistance by Allianz Global Assistance and a presentation on supply chain security for ports from Singular Logic. Posidonia is organised under the auspices of the Greek shipping community and the five major associations representing Greek shipping interests: Ministry of Maritime Affairs & Insular Policy, Municipality of Piraeus, Hellenic Chamber of Shipping, Union of Greek Shipowners, Greek Shipping Cooperation Committee, Hellenic Shortsea Shipowners Association and Association of Passenger Shipping Companies.